The few hours that my family and I spent in the Croatian village of Kumrovec were very pleasant and memorable. Last summer during our Eastern Europe trip, our itinerary (click here to find my other Eastern Europe travel blogposts!) included a couple of days in Croatia. Our Trafalgar coach drove us from the city of Zagreb to the Kumrovec village for a guided walking tour. 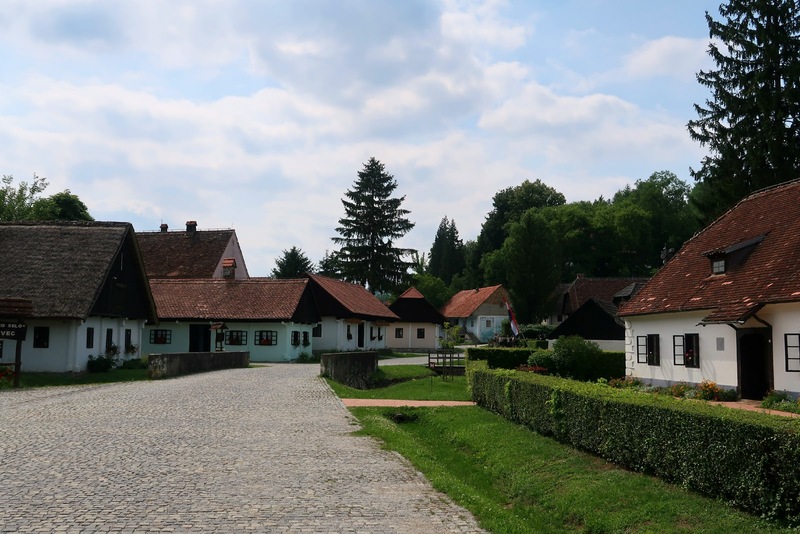 The village is famously known as the birthplace of former Yugoslavian president, Josip Broz Tito. Over 200 residents currently live there. 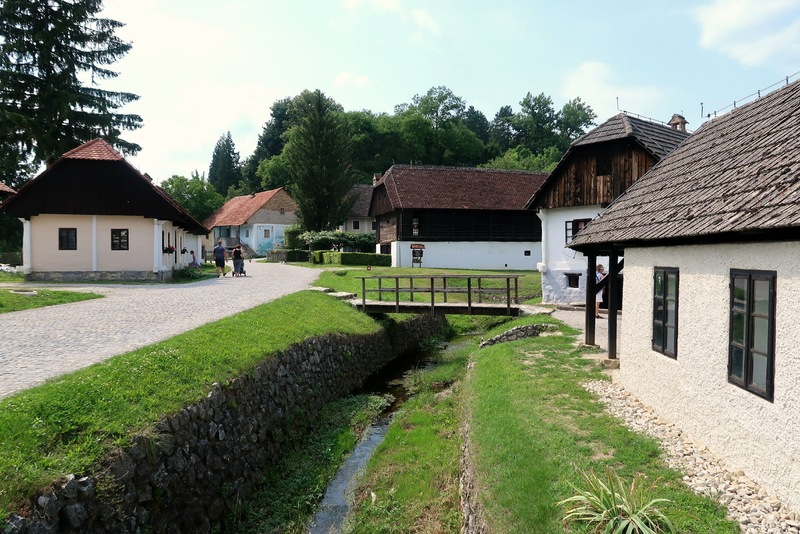 Our local guide led us around the older part of the village where 18 villages houses were filled with permanent exhibitions of artifacts, giving us a sense of what it was like to be a Zagorje peasant in the 19th century. It felt like we were walking back into time as we encountered thatched roof cottages and old wooden bridges over gentle creeks. Along our walking tour, my sisters and I were happy to find some cats lying in the shade of the trees. It looked like they didn't want to be bothered so we admired them from afar. After our tour, our coach drove us to the bottom of Ivančica Mountain where a Croatian restaurant called Klet Gorica awaited us. The hill was very steep, but the exercise was worth it when we were greeted to a multi-course meal! The waiters were very attentive to our needs which made us feel right at home. It was lovely to be treated to traditional Croatian food alongside wonderful mountaintop views. 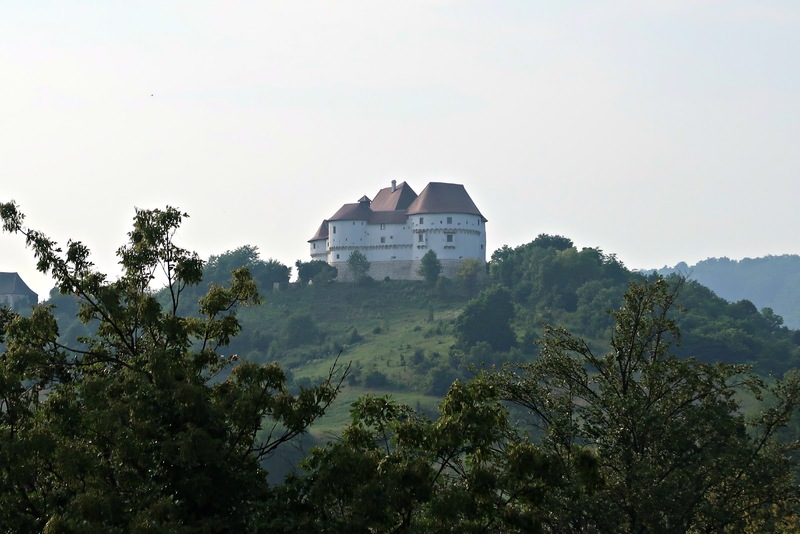 The sloping, green hills in Varaždin County were enough to make my heart swoon. The castle in the distance added a medieval ambience to the scene. Have you ever heard of or been to Croatia? Where would you like to travel to in Eastern Europe? Let me know in the comments below!